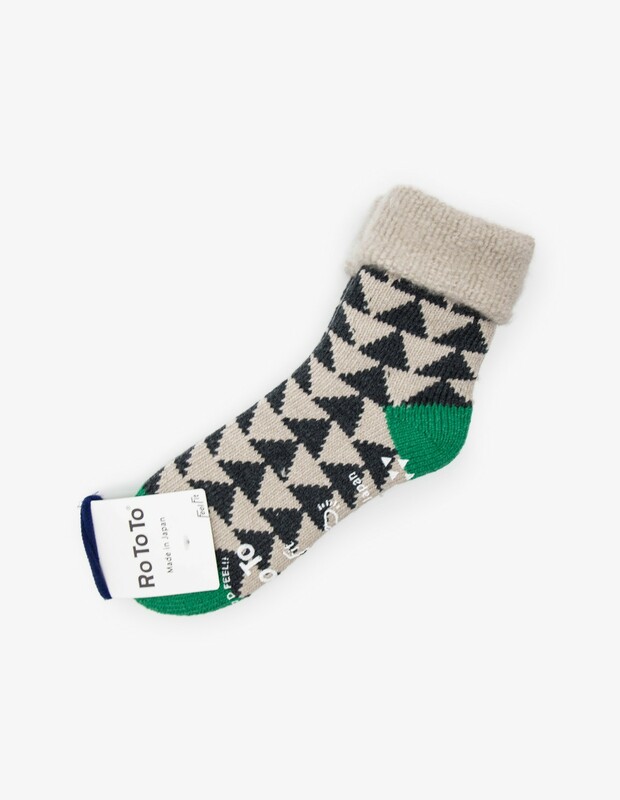 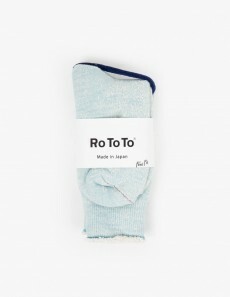 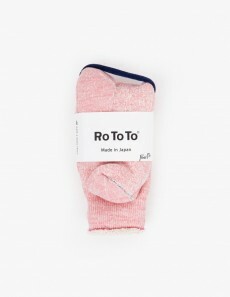 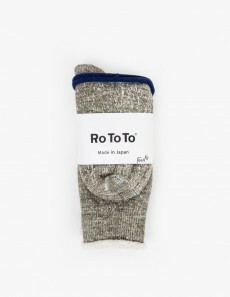 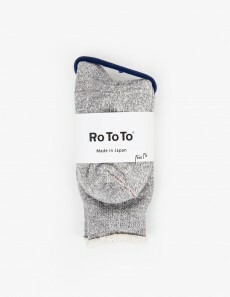 The Comfy Room Socks in Charcoal / Green by RoToTo are made in Japan using traditional knitting techniques. 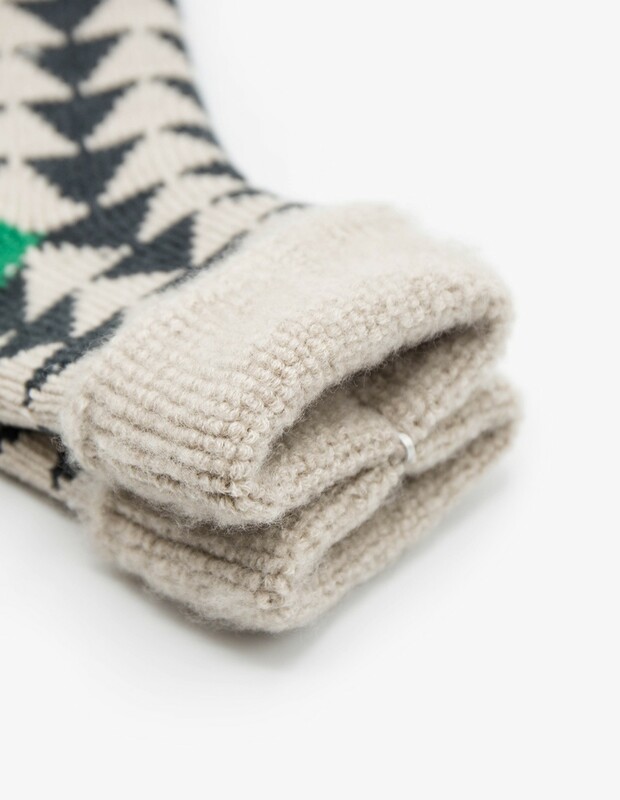 These socks are padded for extra warmth, comfort and durability. 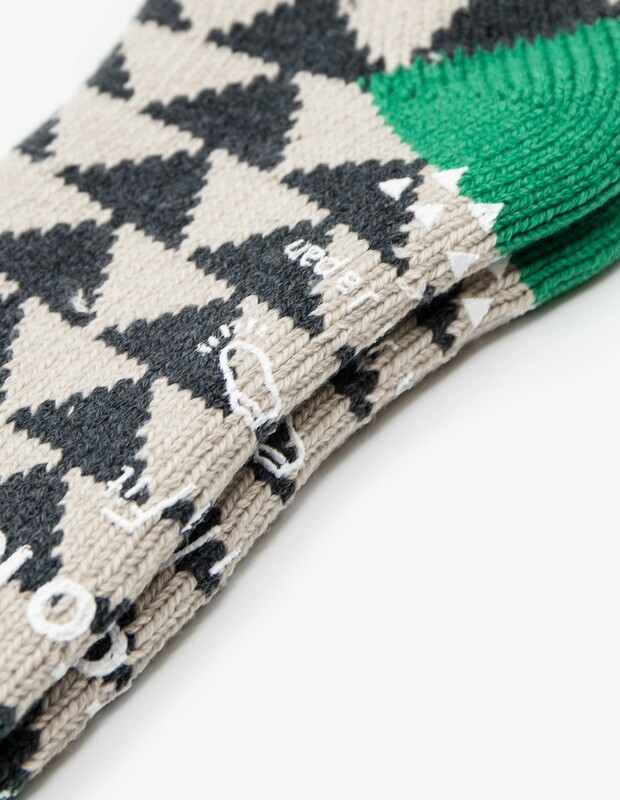 Featuring an all over triangle pattern, contrasting toes and heels and roll-up detail. 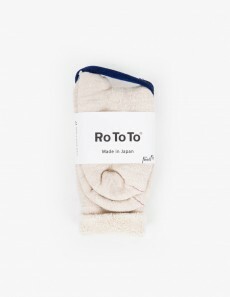 Have a good feel!